I wanted to make something different for desert for Ugadi but last week’s badam halwa is still in fridge. When I asked my husband why he is not eating anymore, his answer was “bored eating of halwa”. He suggested me that if I can make something else out of it he can manage to finish the rest. I gave it a little thought and came up with my own version of a sweet resembling the badam katli. This is my Ugadi Special. In a heavy bottom skillet mix all the ingredients on medium low flame, keep stirring continuously until it starts to come together. Do not over cook as it might start to get brittle. 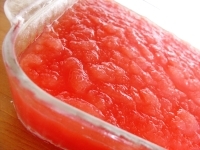 Grease a wide plate with ghee and shift the mixture and spread it around to cool. Take melon ball size mixture and shape it into a small medallion by gently pressing with your fingers. Repeat the process with remaining mixture and garnish with reserved pista. You can roll the mixture into desired shapes. This mixture should be little dry when you cook. You can even add little rose water or kewra essence. 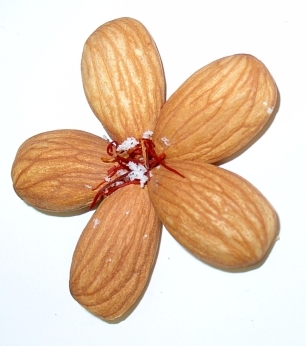 Almonds (Badam) are extensively used in Indian cooking even though they are little expensive. Few of my family’s favorites are Badam milk, Badam rolls (mixed with cashew and pistachios), dry fruit ladoo, Kheer and Halwa. Almonds are often used for garnish, also makes a beautiful presentation. 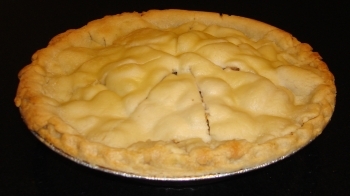 Almond paste is often used in savory dishes and to instead of cream. 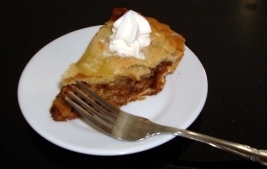 It gives a rich and delicate finish to the dish. Badam halwa is a delicious desert made with puréed almonds, butter/ ghee (clarified butter), sugar and saffron. 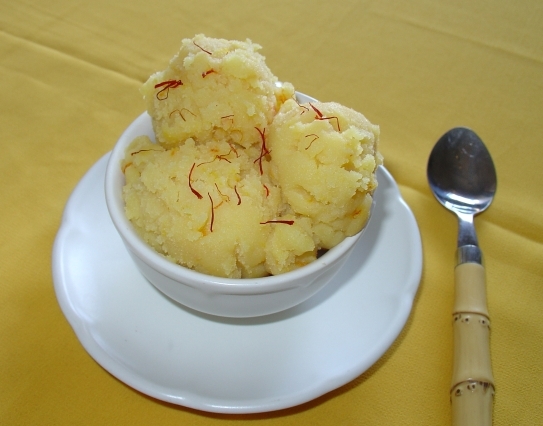 The delicate flavor of saffron gives rich finish and beautiful pale yellow color to the halwa. This recipe comes from my Vasu Atta’s kitchen. Soak almonds overnight. Peel the skins and grind the almonds into a soft paste with little water (don’t make it watery, it will take long to cook). 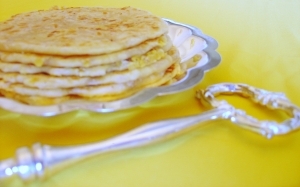 Take a big heavy bottom deep skillet; add butter/ ghee and almond paste. Cook on medium low heat for 10-15 minutes, now add sugar, saffron and keep stirring continuously till it starts to come together (approx 20-25 minutes). Turn of the heat and let the mixture completely cool down. Refrigerate in tight container. Serve warm or cold. You can use milk instead of water to grind. 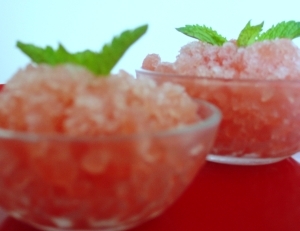 You can add more sugar and saffron to suit your taste. Don’t cook it long. It will turn dry. This stays fresh for 2-3 weeks in fridge. If you want to serve warm take required portion and warm in microwave. This is my entry for Sushma’s Monthly Cooking Tipology event. I know a way head of it as Sushma said:). The almond that we think of as a nut is technically the seed of the fruit of the almond tree, a medium-size tree that bears fragrant pink and white flowers. Like its cousins, the peach, cherry and apricot trees, the almond tree bears fruits with stone-like seeds (or pits) within. The seed of the almond fruit is what we refer to as the almond nut.The delicately flavored and versatile almond is available throughout the year to make a healthy and tasty addition to both sweet and savory dishes. While packaged almonds are available year round, they are the freshest in mid-summer, which is when they are at the peak of their season. The tree is a native of southwest Asia. It is a small tree, growing to 4-9 m tall. The leaves are lanceolate, 6-12 cm long, and serrated at the edges. The flowers are white or pale pink, 3-5 cm diameter with five petals, produced before the leaves in early spring. Almonds are a unique food in that they are among the best whole food sources and the best nut; these are packed with mono unsaturated fatty acids (MUFA) and most of that is oleic acid one of the two good fats responsible for lowering LDL cholesterol and rich source of vitamin E (containing 24 mg per 100 g) in the form of alpha-tocopherol. Almonds are low in saturated fat and, are cholesterol free. In addition, almonds are an excellent source of magnesium, copper, manganese, riboflavin (B2) and vitamin B, contains a healthy mix of essential micro-nutrients—vitamins and minerals. Almonds are also a good source of phosphorus and calcium, which are important minerals for bone health. Almonds are the best source of protein providing 6 grams in one ounce, nearly as much as in one ounce of red meat. Also, research shows that the protein in almonds is high quality and highly digestible. An analysis of the protein provided in one ounce of almonds showed that almonds have a Protein Digestibility Combined Amino Acid Score (PDCAAS) of 0.44, which means that the protein in almonds is able to be efficiently digested, absorbed and utilized similar to black beans, lentils and peanut meal. Along with the quality protein in almonds, there are 3 grams of dietary fiber per ounce. Of this, about 80 percent of the fiber is insoluble and 20 percent is soluble fiber. Though the almond is most often eaten on its own, raw or toasted, it is used in some dishes. 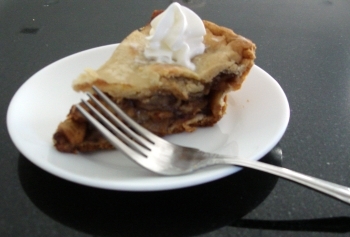 It, along with other nuts, is often sprinkled over desserts (Ice-creams and cream based dishes). There is also almond butter, a spread similar to peanut butter, popular with peanut allergy sufferers and for its less salty taste.Almonds can be processed into a milk substitute simply called almond milk; the nut’s soft texture, mild flavor, and light coloring (when skinned) make an good substitute to dairy, and a soy-free choice, for lactose intolerant persons and also for vegans. Dry fruits are considered to be the superlative of essential nutrients and are very beneficial for health. Dry fruits are used as a key ingredient in a number of Indian sweets and other desserts. Last year my family sent me this ladoo from hyderabad. At first I was not much interested to try, as I am not that interested in sweets. My husbad loves sweets and he made me try this and I loved it right away. I got this recipe from my mom-in-law. Dry roast pista and badam separately and cool them. 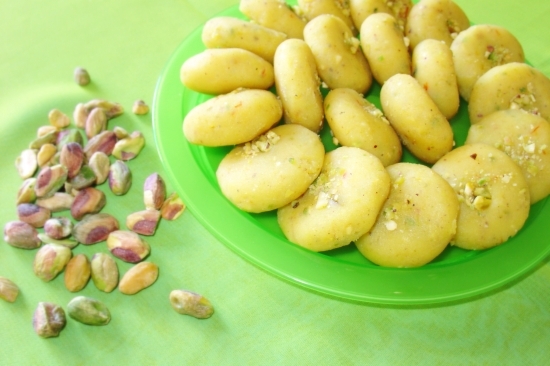 Chop pista, badam, cashewnuts and dates into small peices. Heat pan on low flame, add sugar and 1 tbsp water and stir. Once the sugar dissolves add chopped dates and mix well. Dates will start melting slowly. It takes approximately 10-12 mins. Make sure the flame is in low always. Once the dates mixture starts to come together add the chopped nuts and elachi powder. Turn off the heat and add toasted safforn and mix well. Grease a plate with ghee and shift the ladoo mixture. Spread the mix and allow it to cool for few minutes, till you can handle. 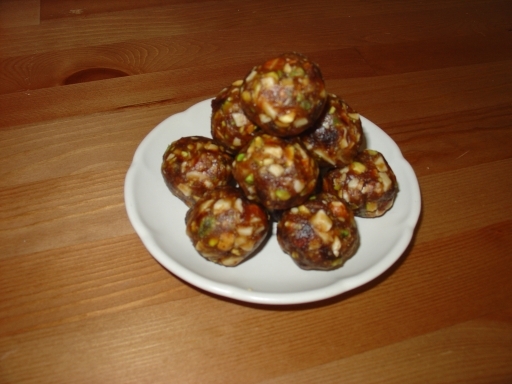 Shape it into bite size balls and store it in a air tight container. To make things done quickly I use microwave to toast the nuts. Just place the nuts on a clean tissue paper and on the microwave for 2-3 mintues. Keep an eye on the them as they can burn very quickly. You can even dry roast on stove top or use a conventional oven ( good when making large quantity). 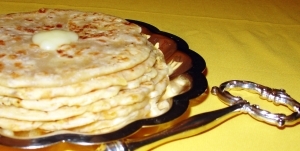 Paccha Karpooram provides a very unique taste in foods. If available you can add it but use only the tiniest amount, a few small grains will flavor an entire recipe. I usually leave ladoos at room temperature, you can refridgerate. Buy dates which are soft and creamy then you can reduce the sugar. Sugar is just added for binding and texture.